Bohol tourism stakeholders expect more tourism arrivals here as a fascraft service that promises to take people to destinations fast and easy, opens up five daily routes at an introductory promotional fare to Bohol at P250.00. Leading fast craft service provider in Bohol, Ocean Jet (OceanJet) Ferries Corporation made true its tagline of “taking you there, fast and easy,” as it opened its five daily boat trips from Pier 1 in Cebu City to Getafe Wharf in Bohol, January 24, vespers of the feast day of the town. The newly opened fast craft route bodes well to the tourism and economic stakeholders in northeast Bohol as this establishes a new fast connection between Cebu and the sleepy towns here. Already coming up with their own tourism products but are hard up with the facility of bringing in guests with the closest port in Tubigon, over 30 kilometers away, the new trip cuts the travel time from Cebu to Getafe by slow boat by half and adds up five trips to the 10 already established trips served by Clemer Shipping and another fast craft service: Star Craft. With its inaugural trip January 24, Ocean Jet offers no business class only tourist class for P250.00, some P40 more than the slow boats serving the route. Ocean jet trips to Cebu’s pier 1 from Getafe wharf starts at 6:30 AM, 9:30 AM, 12:30 PM, 3:15 PM and 6:15 PM, all trips to Cebu in an hour-long of comfort and style. Pier 1 to Getafe starts at 8:15 AM, 11:00 AM, 2:00 PM, 5:00 PM and 8:00 PM for the last trip, sleeping Getafe. Meanwhile, the newly opened Oceanjet routes complement the already present conncetion between Getafe and Cebu. Boat trips from Getafe to Pier 1 therefore are the following: 5:00 Am (Clemer), 6:15 AM (Clemer), 6:30 (OceanJet), 7:00 AM (Clemer), 7:30 (StarCrafts), 9:30 (Oceanjet and Clemer), 10:30 (StarCrafts and Clemer), 12:00 noon (Clemer), 12:30 (OceanJet), 3:00 PM (Clemer), 3:15 (OceanJet), 5:00 PM (Starcrafts) and 6:15 (OceanJet). From Cebu’s Pier 1, trips to Getafe are the following: 6:00 Am (StarCrafts), 6:30 AM (Clemer), 7:30 AM (Clemer), 8:15 AM, (OceanJet), 9:00 AM (StarfCrafts and Clemer), 10:30 AM (Clemer), 11:00 AM, (OceanJet), 12:00 noon Clemer, 1:30 PM (Clemer), 2:00 PM (OceanJet), 3:00 PM (Clemer), 3:30 PM (StarCrafts), 5:00 PM (OceanJet and 8:00 PM (OceanJet). The new trips place tourists in close proximity to Danao, about 20 kilometers away, where legendary hero Francisco Dagohoy put up his defenses against the Spaniards in his century led revolt in Danao. 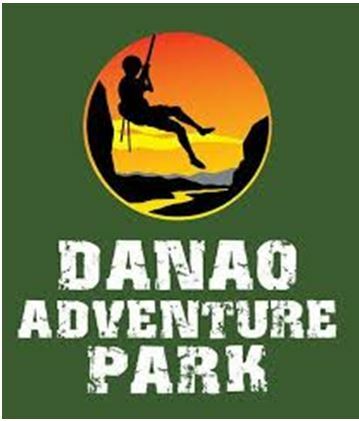 Danao Bohol’s Eco Extreme Adventure Tour (EAT) packages in the Suislide, notably the country’s highest and longest zipline, the Plunge, yet the Philippine’s tallest and only canyon swing, spelunking, rubber tubing, whitewater kayak, cliff climbing and rappel, wall climbing and buggy rides. It also opens up to Getafe’s Banacon Island, Asia’s largest mangrove reforestation project, Handumon’s seahorse reserves, premier bird watching sites and tropical island get-aways. About 20 kilometers to the southwest is Inabanga and its interesting loom-weaving traditions, souvenir baskets, river tours, gardens, and island hopping destinations. About 20 kilometers to the east is Talibon with its notable sandbars, island hopping destinations, sustainable marine and coastal law enforcement practices, seafoods markets, and agricultural tours. The new route also opens possibilities for the tourism destinations in Trinidad Batongay Caves, Kawasan Falls, Dive Bien Unido’s underwater grotto, island hopping, Ubay’sAgri tourism Parks and Alicia’s Panoramic Park. NEW ROUTE TO ADVENTURE TOURS.OceanJet opens up the possibility of extreme eco-adventure tours in Danao, Bohol’s extreme adventure capital. 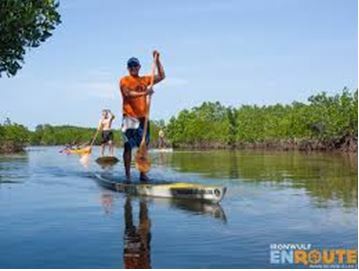 GETAFE’S BANACON ISLAND TOURSfeature mangrove planting, kayaking, birdwatching, island hopping and seafoods feasts.